When mops were first invented in the 1920s, it was a revolution as it meant that one did not need to get down on one’s hands and knees when scrubbing floors. It took a lot of labor out of cleaning floor areas, and not owning a mop was considered unwise if one’s responsibilities involve keeping floors clean. 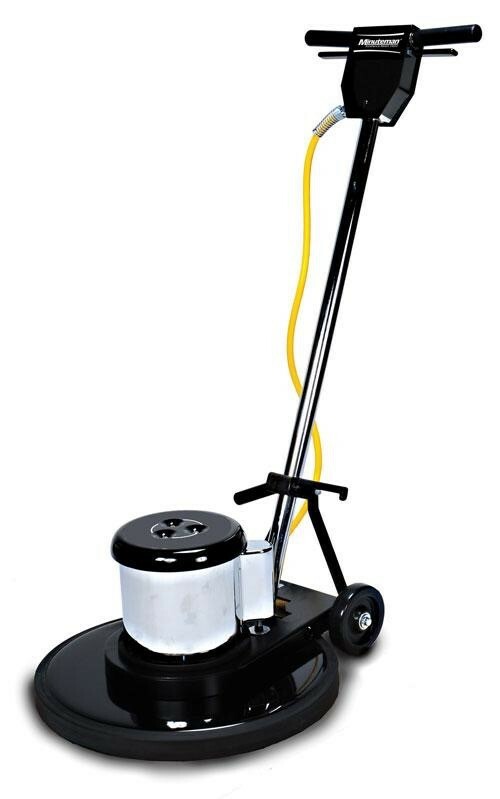 So, it is a bit counter-intuitive that people would have second thoughts about getting a commercial floor scrubber when their responsibilities involve keeping large floor areas clean, especially if they are under pressure to keep the cleaning activity within a specified timeframe, and within budgetary constraints. Commercial floor cleaning machines did for mops what mops did for manual floor scrubbing – they reduced the amount of work involved but on a much bigger scale. For starters, a commercial floor scrubber can efficiently clean a large swathe of floor area in a shorter amount of of time, compared to several workers, armed with a mop and a bucket. This leads to another advantage of commercial floor cleaning machines: they don’t require a lot of effort, compared to manual floor scrubbing. Instead of several workers covering a large floor area, a single operator can drive a rider scrubber, and clean the same area without expending much effort outside of driving. Finally, modern commercial floor scrubbers are also a lot less messy – traditional ways of cleaning floors tend to leave a lot of water behind, which looks unsightly, and can even be dangerous. So, cleaning is usually scheduled well in advance, in order to ensure that the cleaned area will be usable during business hours or normal time of foot traffic. Modern floor scrubbers are inherently more efficient in this regard because they can scrub floors of dirt, wash them, and mop up excess fluids. This helps reduce both the cleaning time and the time it takes for the floor to dry. What all of this ultimately leads to is that commercial floor cleaning machines significantly reduce cleaning time, lessen the amount of labor needed, and minimize the amount of time that a floor area is unusable after cleaning. For any business, establishment, or workplace that places value in both presentability and area accessibility, this is very valuable.